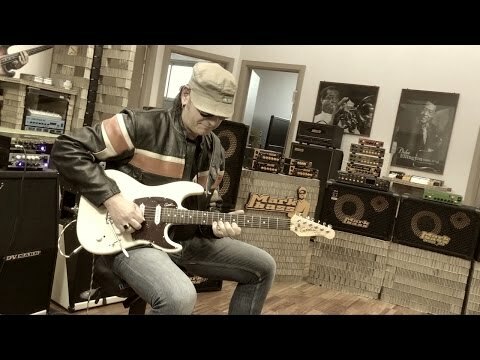 Guitarist, songwriter, author and composer since 1984, Carmine Migliore is one of the most active and interesting artists of the Italian and International rock/blues scene. At the age of 13 he founded his first band "Zephyrus" that wasn’t just a school band but something that would have led him performing on many italian stages. In 1989 he toured with Mal, Francesco Calabrese, Pino D'Angiò, Miki, and from '93, with I Collage with whom he recorded "Replay”. In '97 he toured with Leandro Barsotti, Danilo Amerio, Paolo Belli, James Thompson (sax player with Zucchero), Adriano Pappalardo and he started his projects "The Blues Road" and the band "Carmine Migliore & Road Runner". His song "Black Sister" won the critic award at "Oro di Andy Festival" and at "European Live Festival". In 1998 he releases his album "Live at Blinsky. His experience with I Collage re started in 2000 for two very important years and with them he recorded the album "Settantaseiduemila". At the end of 2001 he started recording some songs at Niski Studio and in 2003 he partecipates to the "Festival di S. Vincent" with his song "Jimi". Carmine had the chance to share the stage with people like Tolo Marton, Crystal White, Paul Young & Los Pacaminos, Mike Stern, Carvin Jones, Blue Stuff, Scott Henderson, Nathaniel Peterson, Hiram Bullock. In 2005 Carmine recorded "Le gesta di un Campione", a song dedicated to the boxeur Prisco Perugino, prematurely gone. In the beginning of 2006, Daniel Lauvray wanted him with in Beàuvais to partecipate at "Le Blues Autour du Zinc", one of the most important blues festivals in Europe. Starting on the end of 2006, he createed a new lineup with "I Romans", very popular italian band in the 70/80 Pop/Rock/Prog scene. In March 2007 he recorded “Lettera a mio figlio” with Carmine Migliore & Niussò, a song that will be used by Unicef and in 2009 was featured in a record released in the USA for Quickstar Production label. In 2011 he started collaborating with Gianni Nazzaro (Tour 2012/2013). In 2012 the Capua city major and the Public Administration gave him the title of President of the Civica Accademia Sperimentale Musicale-Città di Capua-Giuseppe Martucci. In 2013 he toured with the italian guitar hero Andrea Braido (Vasco Rossi, P. Pravo, A. Celentano, Zucchero, Ramazzotti, Ligabue, Mina). In April 2014 he graduated with the top grade at the Jazz Guitar Major at the Naples and, in June of the same year, he released the single “Morire per Vivere”. In the last two years he collaborates with the Italian songwriter Mimmo Cavallo and with Badarà Seck (one of the main exponent of African Music and vocalist of Massimo Ranieri). Starting on February 2016, he’s on tour with Ivana Spagna, they also did an amazing duet with on ”La Bella e La Bestia”, on the national TV channel during the show “Sabato In”. At the moment his musical projects are: Carmine Migliore Blues Experience Trio (Rock/Blues Band), SuperNaturalBand (Santana Tribute Band), Password Rock Band. "Once I plugged my guitar into the Multiamp and played a few notes I immediately realized I was facing something unique..." —says Carmine— "Realistic sounds, incredible dynamic, natural feeling. A concentrate of such a user friendly advanced technology is absolutely unrivaled! Same happened with the Maragold, it took two minutes to get familiar and all the sounds I had in my soul suddenly materialized... DV Mark is Extraordinary on everything they do!" Carmine Migliore "Maledetta e sola"
Mark Power Wristband - Carmine Migliore.